You may know by now that I'm not a green polish lover nor a frosty finish fan, but I may indeed be a convert. When Anni at Vivid Lacquer offered to send me three polishes, I told her she could pick. I wanted to be surprised. Well I'm glad she did...because I wouldn't have given Waltraud the chance it deserves. I read in an interview that Waltraud is named after Anni's mom and was designed to look like a field of flowers. 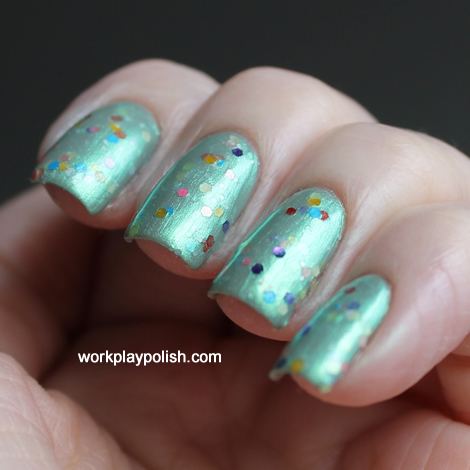 It's a shimmery, minty green base with a rainbow of matte hex glitters. I wasn't sure if the base would build to an opaque finish on its own (I'm soooo lazy about multiple coats of the same polish. Ask me to do a sandwich with 14 different layers...cool. 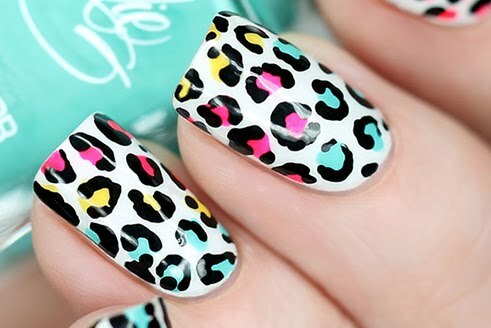 Ask me to do three coats of a creme and I'm like...say what???) So I started with a single coat of Zoya Wednesday. However, I probably could have skipped it. I used two coats of Waltraud and it seems pretty opaque to me. I was concerned about brush strokes since dabbing would wreak havoc on a shimmer finish. But it applied nicely (just as Paint Me Patriotic did) and no dabbing for glitter required! 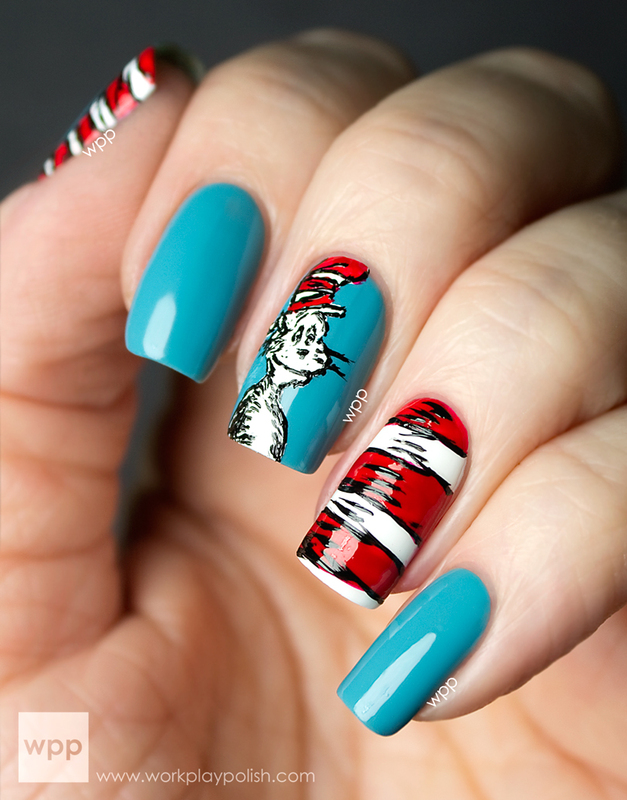 What I like best about this polish is it's unlike anything I've seen. And indeed in my photos...I can totally see the field of flowers she was after. I was pleasantly surprised. 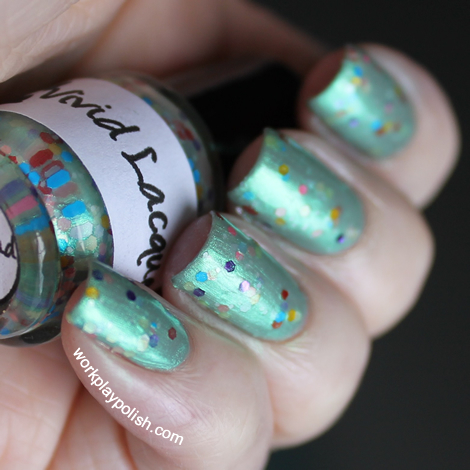 While green still isn't my first choice, Waltraud is a great polish for any green polish lover. I saved my favorite for last, Your Princess Is In Another Castle. That post is coming soon. These polishes are available in the Vivid Lacquer Etsy store for $9 (full size) and $4.50 (mini size). You can also find Vivid Lacquer on Facebook.